If you’re wondering how to prepare financially for maternity leave, check out these helpful suggestions. 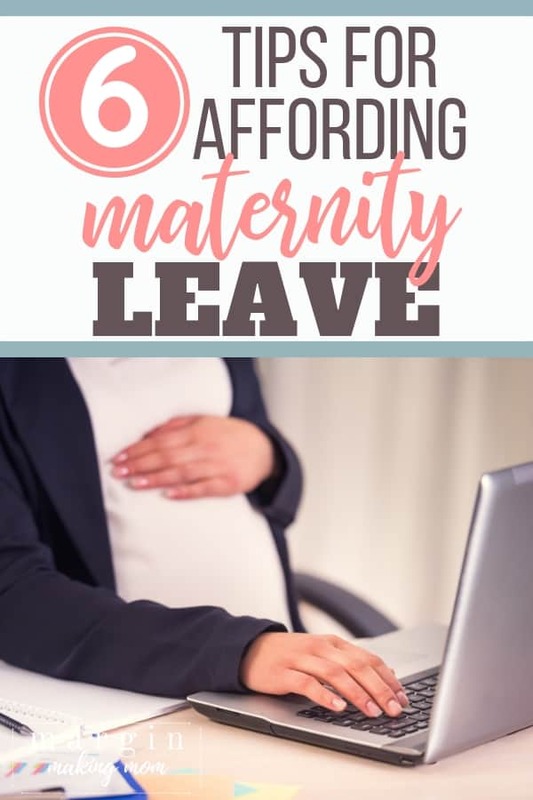 Learn tips to help you afford maternity leave, ways to save money for maternity leave, and what maternity leave benefits you might have access to. Endless snuggles and the sweet smell of my baby. Those were two of my favorite things about maternity leave. The first few precious weeks of motherhood were short on sleep but full of bliss. I loved spending so much time getting to know this incredible little person. But a few weeks after bringing my baby home, reality began to sink in as hospital bills started rolling in. We were still doing everything we could to pay off our debt and were reliant on my income and benefits, so it simply wasn’t an option at the time for me to quit my job and stay home. My maternity leave with my first baby was partially paid (thanks to the Paid Time Off, or PTO I had saved), and my second and third leaves were entirely unpaid. But because we needed my income, I went back to work after a mere 7 weeks with each of my three children. While I certainly wish I could have stayed home longer, I’m grateful to have been able to swing two fully unpaid maternity leaves without major financial consequences. Not only that, but because we prepared financially for my maternity leaves, we set ourselves up so that I could later reach my goal of staying at home more with our kids. It’s no secret that maternity leave in America leaves a lot to be desired. According to statistics from the U.S. Department of Labor, as few as 12% of new moms receive employer-paid maternity leave. Not only that, but as many as 25% of new moms go back to work within two months of giving birth. As a postpartum nurse, I have talked with countless moms who are stressed out about the financial implications of their maternity leave. Although each family’s financial situation is different, some intentional planning can help to minimize the financial impact of maternity. By preparing ahead of time, you’ll be able to more fully enjoy the precious time with your new bundle of joy. Whether you work from home or outside the home, these are some suggestions for making the most of your maternity leave. Know Your Rights – Will You Have Unpaid Maternity Leave, Partially-Paid Leave, or Fully Paid Leave? First of all, look into your employer’s maternity leave policy to see what benefits you may be entitled to. You can check with Human Resources to determine what benefits they may offer. Also be aware of your state’s laws on maternity leave, as some states have more generous benefits than others. 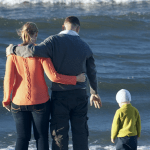 FMLA is a federal leave benefit that allows for some individuals to take job-protected leave. But unfortunately, it doesn’t apply to everyone. While FMLA guarantees that you can take a maternity leave without losing your job, it is an unpaid leave. It’s important to find out if you are a covered employee under FMLA and find out what your employer’s policy is for using PTO or other benefits in order to still receive a paycheck. Some employers also utilize a short-term disability plan that may allow you to receive at least a percentage of your paycheck for a set amount of time, usually 6-8 weeks. But in order to plan appropriately, you need to know your rights. Do Some Math – What Are Your Needs During Maternity Leave? In order to survive financially during maternity leave, it’s important to have a plan for covering your expenses during your leave. Ask yourself the following questions: How long do I want to take off for maternity leave? 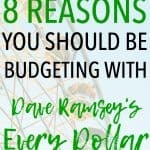 How much do I spend each month? Are there any expenses specific to the months of my leave that need to be taken into account (such as Christmas)? It’s a good idea to look back at your monthly budget, bank statements, and bills to analyze your spending. That will give you a starting point for planning how much money to save or secure in paid benefits. While it seems really simple, it’s also important. If possible, begin saving for your leave as soon as you find out you are pregnant. Starting your savings early means you have to save less each month throughout your pregnancy. 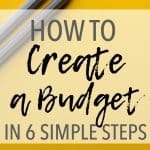 This helps to diminish the effect on your monthly budget. In addition to starting early, keep your savings liquid. Make sure your money is easily accessible, such as in a savings account. 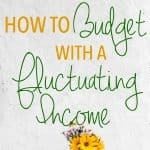 If you have PTO, use it to help fund your maternity leave! However, if at all possible, save your PTO for after the baby is born. While it is a wistful idea to take a couple of weeks off work prior to having your baby, that puts a drain on your PTO bank. There are instances where this isn’t an option, such as moms who have orders for bedrest leading up to the birth. But if your pregnancy is going pretty well and your medical provider is okay with it, try to minimize using your PTO before birth. I was fortunate to have healthy pregnancies and, although I was tired during those final weeks, I was able to continue working up through (actually, past!) my due date in order to avoid using my precious PTO before the baby arrived. While this is not an option for moms with complications or those requiring bedrest, if your pregnancy is healthy, try to save your PTO if possible. 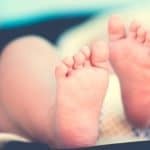 The cost of having a baby adds up quickly, so it’s important to know what your financial responsibility will be. Be sure to specifically ask about the maternity benefits your insurance provides. Also be aware of your copays and deductible. If necessary, shop around for different providers. Not all providers and hospitals charge the same for a delivery. When I was pregnant, I called different hospitals in my area to find out the average cost for a delivery at their facility. It may just surprise you how substantial the cost difference can be! Some facilities also offer a discount if you pre-pay your anticipated portion of the cost prior to leaving the hospital. This can represent a pretty hefty savings, if you can swing it. I know it is OH SO tempting to buy every gizmo and gadget and all the cute clothes for your new little one. But I promise–you don’t need them all. Instead, only buy the essentials, and save the rest of the money for your maternity leave. Not only will you eliminate unnecessary clutter in your home, but you’ll save a good bit of money, too! 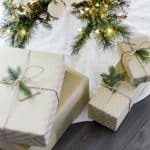 Many new moms are fortunate to have friends and family purchasing gifts for your little one, and that can be a huge help financially as well. With a bit of smart planning, you can maximize your time off and minimize your financial worries. Knowing how to prepare financially for maternity leave means you’ll be able to enjoy those sweet baby snuggles a little bit more. And that, sweet momma, is worth every penny.